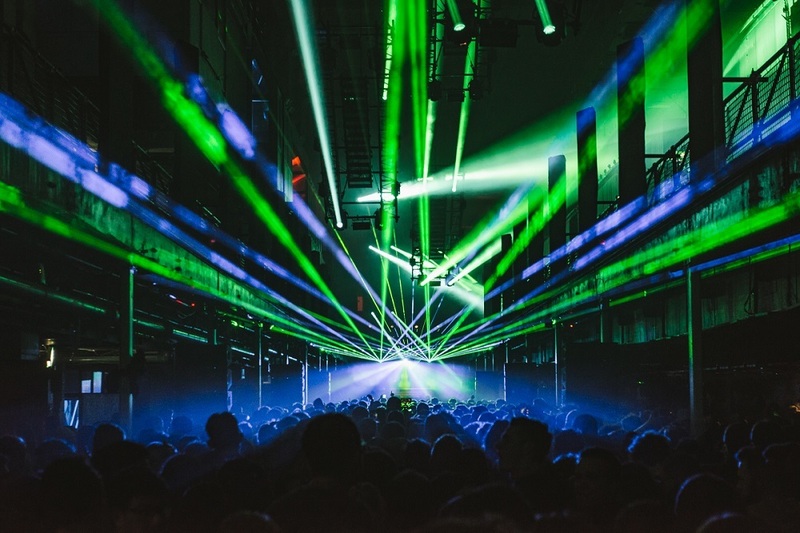 Printworks London reopened for 2018 with The Hydra taking control of its two rooms on Saturday, March 3rd. 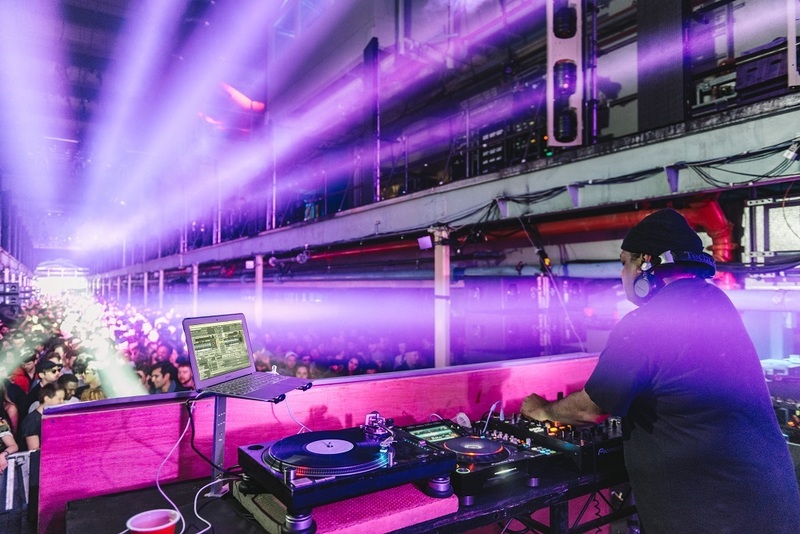 Kerri Chandler, Lindstrøm, John Talabot and Prins Thomas were among the acts playing across the Press Halls and Charge Bay with a tweaks to the layout, sound and lighting throughout. Mike Barnard was there. Broadwick Live has continued to tweak the Printworks London production, working with the award-winning dbnAudile to upgrade the sound and visuals. 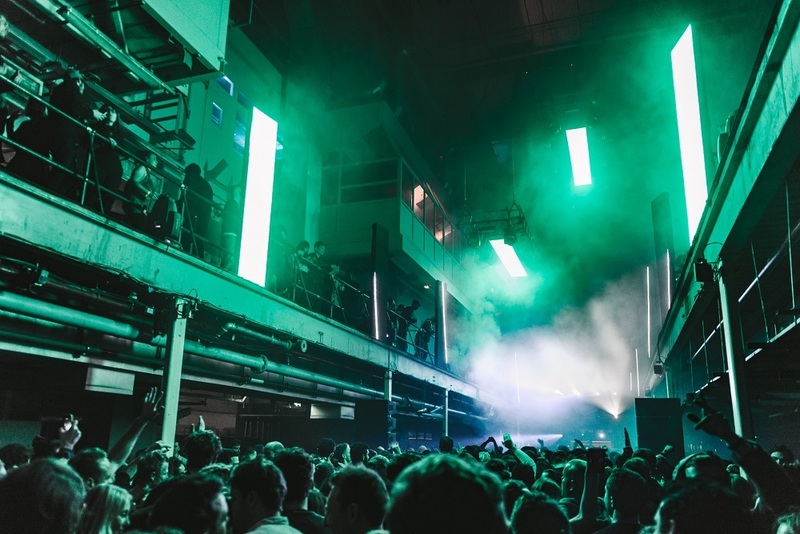 Last year Printworks London stamped its authority on the daytime clubbing scene by utilising its unique space in an evolving way that drew on the space’s original useage while adapting to each event that passed. For 2018, Broadwick Live has continued to tweak and were keen to highlight their work with award-winning production company dbnAudile to upgrade the sound and visuals ahead of doors opening. We were keen to see what was in store. The entrance to Printworks London has changed very little - walking up to the building you still pass through its old gates to the road before navigating its grounds to reach the ticket check. Similarly, the ground floor remain largely the same, although the lockers are now more accessible out in the main space, there’s a shop for the merch hounds among the revellers and we saw the signage throughout had been developed into lightboxes using the Printworks font to help us get around. Upstairs to the music, the improvements became more obvious. Alongside the draft beer bar, there’s now a cider variant too, while the Press Halls bar was complimented by a Hennessey bar. The reshaping of the Press Halls bar into what will be used as a 3,000-capacity live music space meant some of the industrial setting has been made sleeker, losing the walkways directly overhead. The intimacy has been lost in favour of a more open area, and it will be interesting to see it in action with a band on stage at the far end of the room. The Press Halls themeselves were alive to the moody, techno sounds of Red Axes when we arrived, and we were keen to see what was in store for us there. 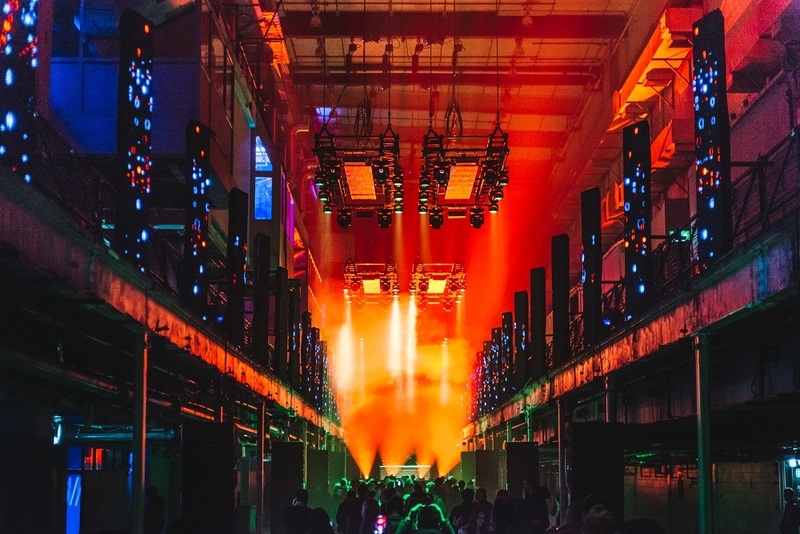 The moving lights were a favourite feature of Printworks last year, so it was pleasing to see they had not just retained them, but reworked the concept. Gone were the horiztonal pillars to be replaced with a series of LED panels facing downwards surrounded by moving lights. They still tilt, and, as a neat edition, are paired with a series of LED panels mounted to the mezzanine running the length of the halls. Coupled with lasers firing from behind the DJ booth as well as just above the heads of the crowd, the eye candy was non-stop all day and that shines through in the photos. For all the blockbuster-qualities of the visuals, it would be nothing without the sound. The moving of the speaker stacks from under the balcony to down the middle of the room seems to have worked wonders to create a more impactful wall of music you can really feel. The previous set ups never quite got the low bass lines vibrating down the Press Halls, but as Red Axes wrapped up their deep set, we realised we had felt the tunes far more than last year. John Talabot was up next, the Spanish producer’s progressive selections following nicely on from Red Axes without ever quite breaking out into a full-on party mode: this was a set for the introverts. We took that opportunity to have a look round the balcony and Control Room. There were better speakers in the Control Room so you didn’t feel too removed from the Press Halls while in there and it was good that the balcony access seemed to extend further. On our way back down, we checked into the cosmic vibe that was being heard in the Charge Bay, although noted the absence of the cocktail bar area for chilling out and the back entrance to the Charge Bay dancefloor that helped avoid congestion via the middle door. This was a shame - not least because we would regularly sip cocktails from that bar - and detracted from the draw of the second room, while the sound quality seemed to dimish in the Charge Bay beyond the middle of the room, particularly when three-quarters full. Still, the upbeat stylings of Prins Thomas meant it was hard not to smile as we danced down to the front. Entering the final two hours, we were excited to see Kerri Chandler take to the decks for his headline set. An esteemed house selector, from the first beats you could tell he was in high spirits with Sydney Youngblood’s ‘If Only I Could’ an early treat: the soulful tones rung out, exchanging the atmospherics of Talabot and Red Axes with a disco funk explosion. The high point for us was Kerri’s use of Armand Van Helden’s ‘You Don’t Know Me’ to unite his audience with some well-known vocals, then we slipped off to the Charge Bay for Lindstrøm’s live set where his enthusiastic fans and persistently joyful melodies saw us happily through to the end, dropping favourites ‘Closing Shot’ and ‘I Feel Space’. Photos by Carolina Farualo - Fanatic Photography.